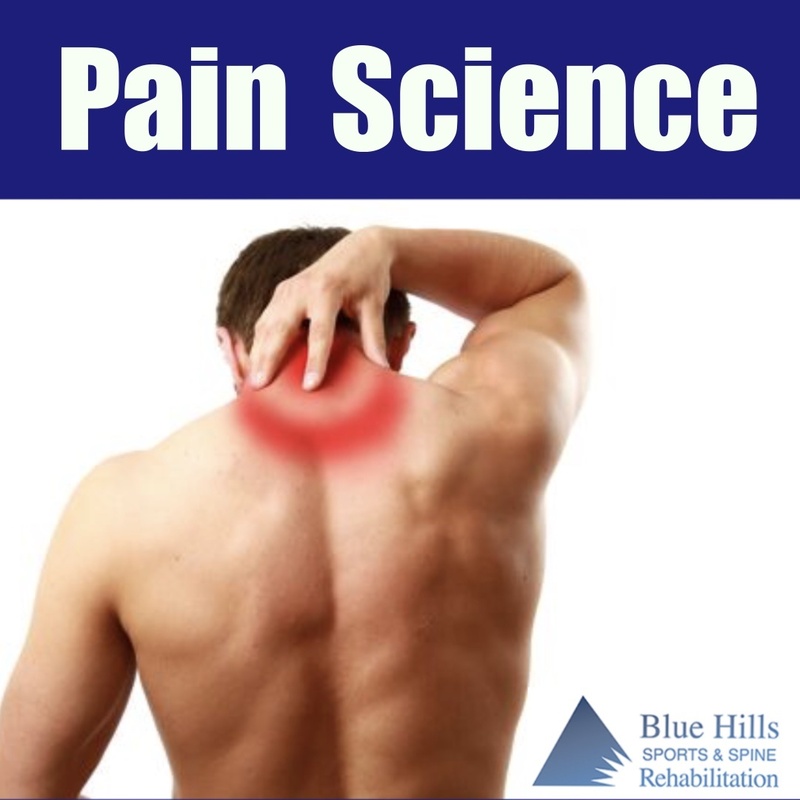 What is “pain science” and why is it important to us at Blue Hills Sports and Spine? At its foundation, pain science is the study of pain and its perception-- how we experience it. Defining an “experience” can be hard to conceptualize since everyone’s “experience,” even when in similar environments or situations, is unique. This is very true for an individual’s experience with pain too. Traditionally, pain has been viewed and treated using a customary medical model that attempts to explain pain in a cause and effect method. A specific tissues damage or injury causes the start of the inflammatory process and pain is the result. Unfortunately, with pain it isn’t always this simple. What this model fails to take into account is a myriad of factors. For example, we don’t consider all head pain as a “head injury.” If no trauma has occurred, we call this a headache. We may take an anti-inflammatory for relief, but sometimes taking a nap, a walk, hydrating, or taking a moment to de-stress is all we need. Like a smoke detector, pain is an outputted signal created for us to respond to a possible threat. It doesn’t always mean there is a fire, or in the case of pain, tissue damage. Our need for protection is multifactorial and can include physical, psychological and emotional components which all should be examined. This is not to say that pain is “all in your head,” but instead that it can’t simply be boiled down to any one factor. There are many cases that are simple and straight forward and injury does equal pain, but when the traditional medical model fails, you then have to look deeper. The aim of pain science is to acknowledge and understand the roles of tissue injury, inflammatory processes, nociception (pain transmission), the immune system, nutrition, sleep, physical activity, emotions, beliefs, injury history, social health and support and much more on each individual’s pain experience. By considering all of these factors, we gain a greater understanding of pain through a bio-psycho-social approach. At Blue Hills Sports and Spine Rehabilitation, we integrate this understanding of pain science into our examinations and interventions to help our patients better understand their pain and help them get back to their lives again. Why let pain win? Contact us now, to schedule an evaluation and learn how to take control over your symptoms!